Spring is in the air (or at least on the calendar), and people everywhere are starting to think about their gardens for the year. While gardening might not seem to have much to do with business, in reality, it has several lessons it can teach us about running a successful marketing campaign. Here are four to keep in mind as you prepare your yard this year. Any experienced gardener knows a garden must be carefully planned. From lighting and shade considerations to eventual plant heights, watering needs, and general arrangement, failure to consider the characteristics of each individual plant can easily result in a struggling garden that doesn’t please the eye. Marketing is the same. Randomly throwing together a variety of different strategies and hoping something sticks is never a good approach. You need to plan how each piece will fit together and serve your ultimate goal: getting your message in front of the people who are most likely to buy from your company. Once you plan and plant your garden, you’ll find yourself returning regularly to care for it. Weeding prevents undesirable plants from taking over. Watering ensures the garden prospers and grows. Without regular care, your plants could die, and the entire garden might turn into a small, wild field. Your marketing also requires regular attention. Track how well each strategy performs and how much you’re spending per customer. Identify areas to improve and refine your marketing. On social media, use each platform to interact with your followers. They aren’t going to magically buy just because you set up a page. Gardeners know the fruits of their labor might not be visible for several weeks or even a couple months. They put in the work and planning so their yard can look amazing in the future. You must also be willing to wait to see the results of your marketing efforts. Just because you sent out a direct mail flyer or set up a few social media sites doesn’t mean customers will just start rolling in. You need to have patience to see results and understand that marketing is all part of the plan to grow your business. Anyone who’s ever planted a garden knows that sometimes you get too much in return. Maybe your bushes have started to grow so much they’re overtaking the other plants. If you planted vegetables, you might suddenly have too much produce on your hands. You need a plan to deal with this excess. It’s also possible in business to get overwhelmed by a very successful marketing campaign. A sudden influx of customers can leave your company scrambling to keep up with demand. Make sure you have a plan for dealing with fluctuating customer numbers. Consider part-time help and training staff to adequately handle larger numbers so no customer gets neglected. 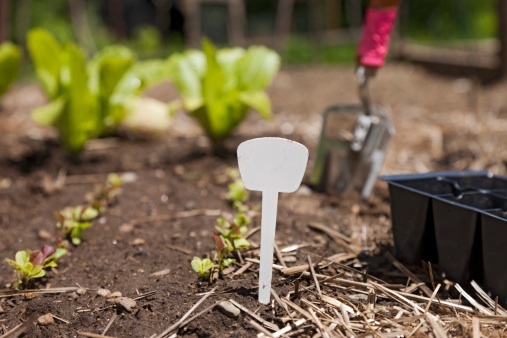 As you plan your garden this spring, consider the many lessons you can learn about marketing as you go. If you’re ready to start working on a new marketing campaign, contact us. We’d be happy to help you get started. This entry was posted in Marketing on March 25, 2015 by Shawn Nag.